IsoTek has made the whole subject of power conditioning and regeneration more understandable with the launch of its EVO3 Titan One and EVO3 Genesis One products. Forming a core part of the company’s penultimate Mosaic range, the combination of two Titan One’s and a single Genesis One in essence equates to the EVO3 Mosaic Genesis (which won our 2016 power product award), but sub-divided into its component parts. 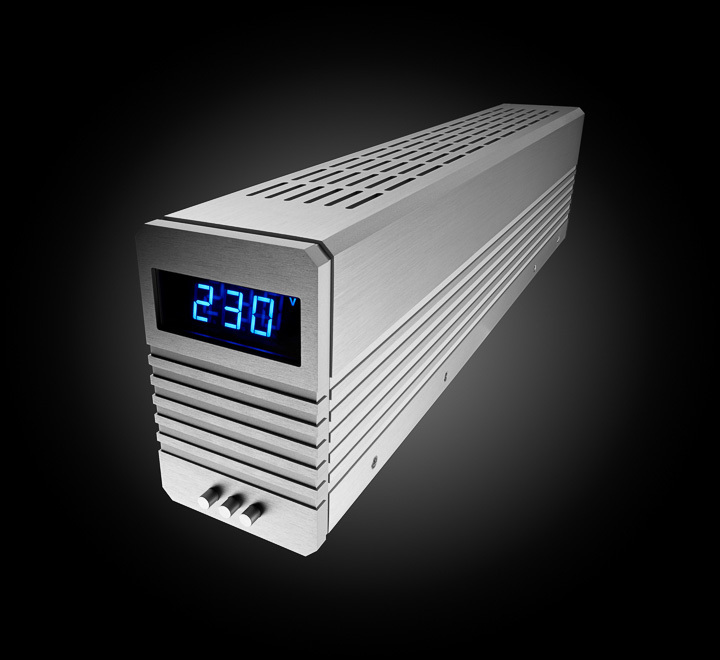 This not only makes for a smaller footprint, it allows greater flexibility depending on the system and the quality of the power from the inlet, it means a step-by-step approach to power conditioning and regeneration, and could theoretically spell a conditioner for each device on the rack! The EVO3 Genesis One is a single-cell sine wave generator, optimally designed for front-end and preamplifier duty. It’s small enough to sit next to its designated component on the same rack (or you can place six side-by-side on a single 19” shelf), and can be daisy-chained, so additional Geneses and Titans can be used from a single socket. With a small Class D amplifier (but using a linear PSU) in the circuit, delivering 100W of power with a potential 85dB of Common and Differential mode noise reduction all the way down to DC (0Hz) on tap, the Genesis One is an ideal solution to mains-borne noise for a particularly vulnerable component, or the first step in a sophisticated, multi-box power solution. An audio power company with many good power cords to its name, IsoTek naturally wires up the EVO3 Genesis One with high-grade cables; in this case, silver-plated PC-OCC conductors separated by a FEP dialectric. The EVO3 Genesis One comes in two finishes (brushed aluminium, and black) and can either be supplied with a blue LED panel to show a range of options (incoming voltage, THD, mains frequency, output voltage, and power consumption), or with the same panel blanked out. The performance is the same, but the LED-free version is a little cheaper and in daisy-chained systems where there is a dedicated Genesis per component, a bank of LEDs telling you the same story is unnecessary. The EVO3 Titan One conditioner is even more minimalist, as it doesn’t even have option of a display, or trio of buttons to navigate that display and turn the Genesis on or off. Titan is in the same extruded aluminium box as the Genesis One (the rear panels of both devices are almost identical, too) and internally it uses the same silver-plated PC-OCC conductors separated by a FEP dialectric for its internal wiring. It’s also a single-cell conditioner – designed for one device. However, unlike the Genesis One, the Titan One is specified to work with up to 3,680W of power requirement, so is perfectly comfy hooked to power amplifiers, subwoofers, and so on. It features the same ‘Direct-Coupled’ conditioning system found in the Mosaic Genesis and unique to IsoTek, and is said to cut up to 82dB of RFI down to 5Hz. Like the Genesis One, it is designed to work on Common and Differential mode noise reduction, and the result is a high-current, low-impedance power feed. System building can take many forms here. You might conceivably start with a EVO3 Titan One as a conditioner, then add the EVO3 Genesis One, and either move the Titan One down the line to the next component in the chain, or double them up for the best possible combination of clean power options. The EVO3 Genesis One rebuilds a cleaner power from the wall, and then the EVO3 Titan One knocks out the last bits of noise generated by the Genesis One itself. You could, ultimately, deploy an EVO3 Genesis One/EVO3 Titan One double whammy to each line level and preamplifier in the chain, with additional Titan Ones used for the power amplifiers. A better option at this point might be a more integrated solution, unless you are building a power solution step-by-step, or are diametrically opposed to spare sockets on a power conditioner.